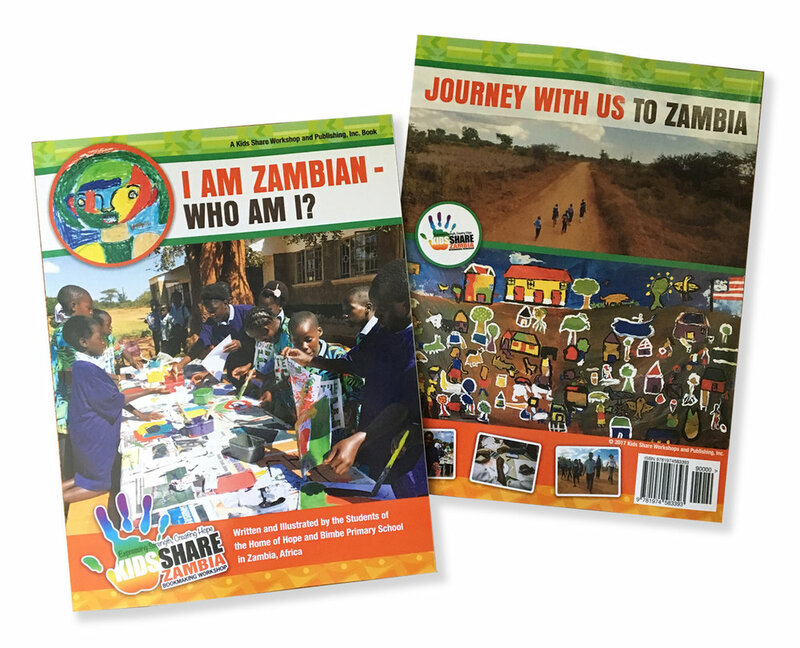 BOOK DESIGN - "I AM ZAMBIAN - WHO AM I?" 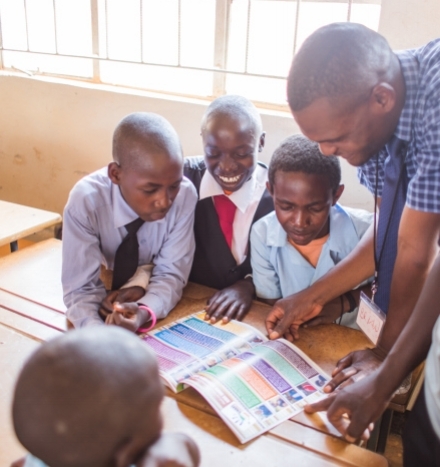 A COLLECTION OF PERSONAL NARRATIVES AND ILLUSTRATIONS BY CHILDREN LIVING IN CHONGWE, ZAMBIA. 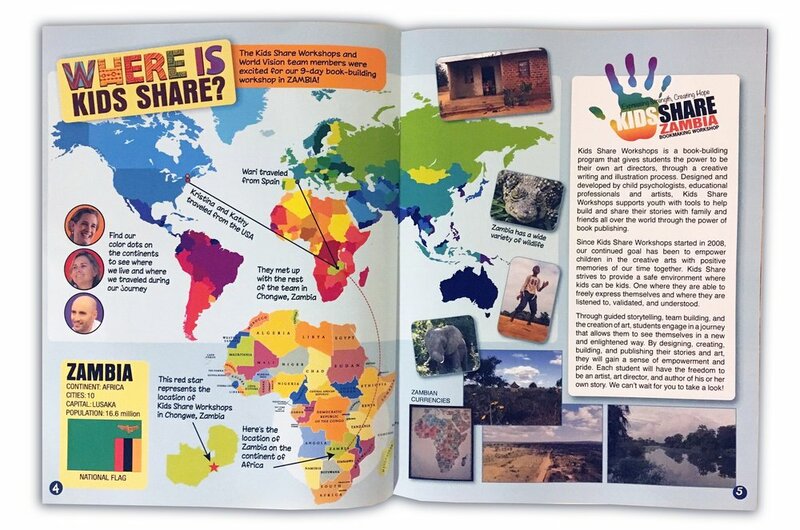 This is a book that tells the stories and shows the illustrations of school children in Zambia. It was the end product of a workshop where the children learned how to be authors and illustrators and share their stories and visions with the world, through a published book. Each participant received their own copy of the book- which for many was the only book of their own. I created the illustrations, cover design and interior design, and worked as part of a talented creative team to bring this exciting workshop to these beautiful children. 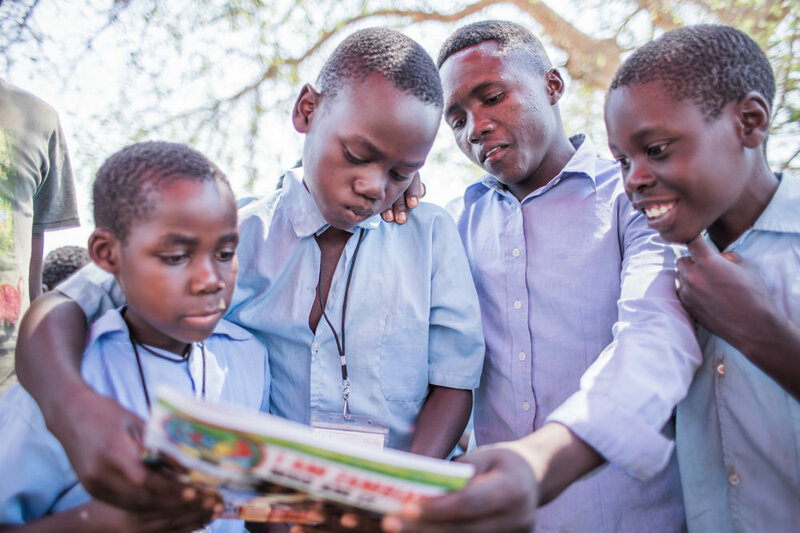 Kids Share Workshops, the energetic, talented team I worked with that brought a book-building workshop to students in Zambia, returned to the schools to present the published books to the children. They celebrated and enjoyed a musical performance while they reunited with Kid Share and received their books. Kristina, KSW founder, has shared a great post with pictures and stories from the visit. Go to her page to read more: https://kidssharezambia.wordpress.com. The pictures of the kids excitedly sharing their books warms my heart! I hope to be able to do another project like this with KSW in the future and be able to reach out to kids in communities in need, and also be enriched by the experience myself. Photo credits- @ Wari Om Photography and Kristina Applegate 2017. Below- is the first blog post I wrote before starting the project. "In developing countries, an education is not a given right, but a privilege for those who can afford it. In these cases families are selling what little they have to keep their children in school and often can’t continue their education. In addition, children have a lot of chores in the early morning hours, walk far distances to school, are often hungry and worry about drought. By night, children try to study and read by candle light because electricity is too expensive. Yet astonishingly, they often give the biggest smiles with warm hearts. Through native songs and dance, children find solace in a very challenging childhood, often fraught with unimaginable loss. Kids Share books, documentary film and online media, help to create a powerful voice for youth and their communities. Children who worry about their continued education, are hoping you will pay attention and hear their voice through Kids Share Workshops. " I love this image of Kristina and the kids and their teacher walking home from school. The team accompanied the children home after school, on a long journey, where they were able to see their homes and village and learn more about their lives. Truly an amazing and inspiring experience. I am proud to be a part of it, and excited to be a part of this creative team!